There are multiple planned responses for the empty lots within Fitzgerald. Lots will be revitalized with a combination of new fencing, vegetation or green infrastructure intervention such as meadows and trees. 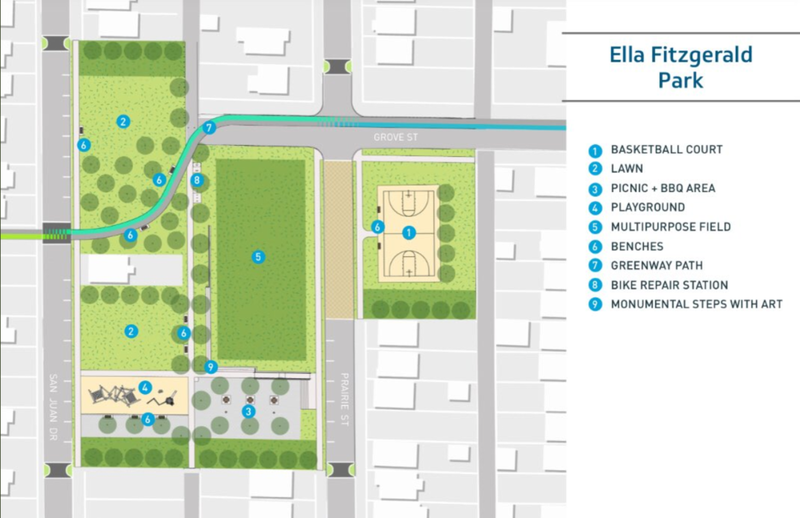 Ella Fitzgerald Park is the result of a collaboration between local residents and the City of Detroit. It is the centerpiece of a walk able network of parks which connects Greenlawn Avenue to Livernois Avenue. The park will be a community gathering space, with a sports field, basketball court and play equipment. The mission of the "Fitzgerald Story House” is to provide an accessible neighborhood center for services, resources, and historical preservation. As a living museum for the neighborhood, the story house offers a place for local block clubs to meet, an onsite office for Century Forward, Fitz Forward's non-profit development partner, along with curated tributes to Fitzgerald’s history and revitalization. The house will be a revitalized duplex which naturally accommodates the security concerns of a community space and an active office. The Story House will also offer a material showroom that will function similar to a model home. This feature will allow new and existing residents to envision how they can renovate and personalize their own homes as well as peruse local neighborhood home buying options for homes being rehabbed in the neighborhood. Future residents and homebuyers will have the ability to choose from custom finishes for homes that are scheduled to be rehabbed in the neighborhood. The "Community Officer Program” offers housing opportunities to active duty Detroit officers who are interested in community policing and leadership. The goal is to provide affordable homes to officers so that they can become invested community members. The program includes Down-Payment Assistance and Pre-Construction Customization options. Presently, four homes have been set aside for this program. 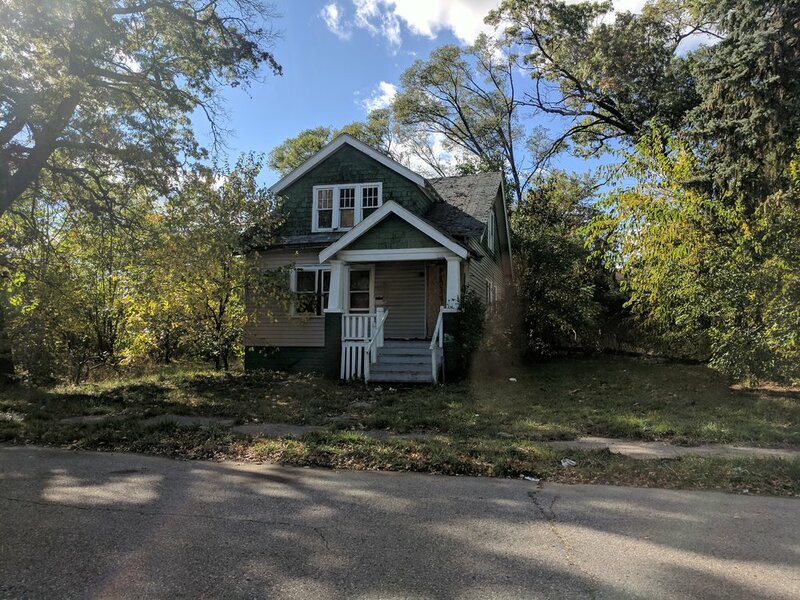 Active Detroit Police Officers and local Sheriffs who are interested in this program should submit a Fitzgerald Home Buying Questionnaire (Link: https://goo.gl/forms/NfdziWAzekh5zqib2) and mention that they are active duty officers within their submission. We are currently working on solidifying relationships with a neighborhood internet provider seeking a digitally connected neighborhood. Our team wants to help Fitzgerald residents connect with one another, navigate today's "Internet of things" and connect with other types of valuable community assets.